No matter what you face during this holiday season, you can find encouragement through praise and thanksgiving by honoring God for His goodness and blessings. He is worthy of continual praise, but we must be intentional about offering thanksgiving to Him on a daily basis. Praise and thanksgiving also release POWER—power to overcome the devil, power to bring God on the scene, and power to see victory. In the Bible, we see praise and thanksgiving opening prison doors (Acts 16:16), delivering God’s people from their enemies (2 Chronicles 20:25-30), and bringing God on the scene (Psalm 22:3). Praise and thanksgiving even cause you to grow stronger. For example, Abraham “…grew strong and was empowered by faith as he gave praise and glory to God” (Romans 4:20, Amplified Bible, Classic Edition). As you praise God and speak of His marvelous works, your faith rises on the inside of you to receive His blessings. 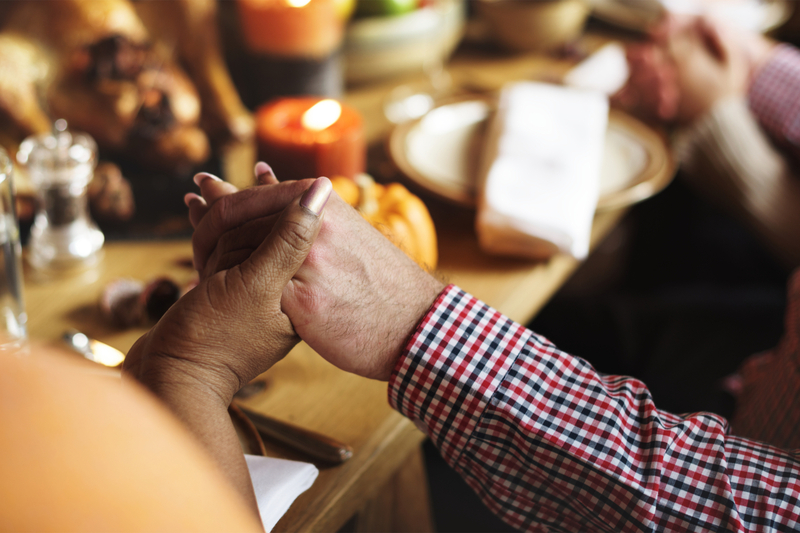 This Thanksgiving, take time to stop and reflect on the goodness of God and meditate on His blessings and kindness to you. Use these 17 scriptures* for Thanksgiving Day as a conversation starter at the dinner table, to inspire your family to talk about the marvelous things God has done for you this year. Then, tuck them in your Bible and use them as a reminder throughout the year to stir up your faith and bring you closer to God. Let us come before His presence with thanksgiving; let us shout joyfully to Him with psalms. For the Lord is the great God, and the great King above all gods. Oh, that men would give thanks to the Lord for His goodness, and for His wonderful works to the children of men! For He satisfies the longing soul, and fills the hungry soul with goodness. Praise the Lord, call upon His name; declare His deeds among the peoples, make mention that His name is exalted. When you meditate on these 17 scriptures for Thanksgiving Day, you will renew your mind to focus on the goodness of God, grow your faith, and be in position to receive from Him. No matter what is happening in your life today, keep praising Him—it’s the key to your next miracle.